Many of our coaches have children of their own, with many years experience working with kids and keeping them safe in the ocean. 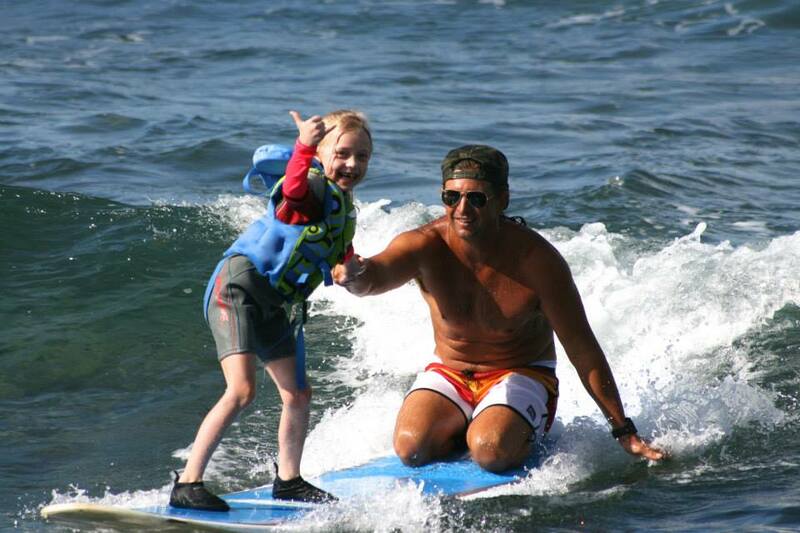 We start teaching children to surf at the age of 4yrs, provided they know how to swim. We maintain a fleet of surfboards and equipment specifically designed for children. Learning to surf is a great confidence builder and a fun, healthy way to learn about the ocean. 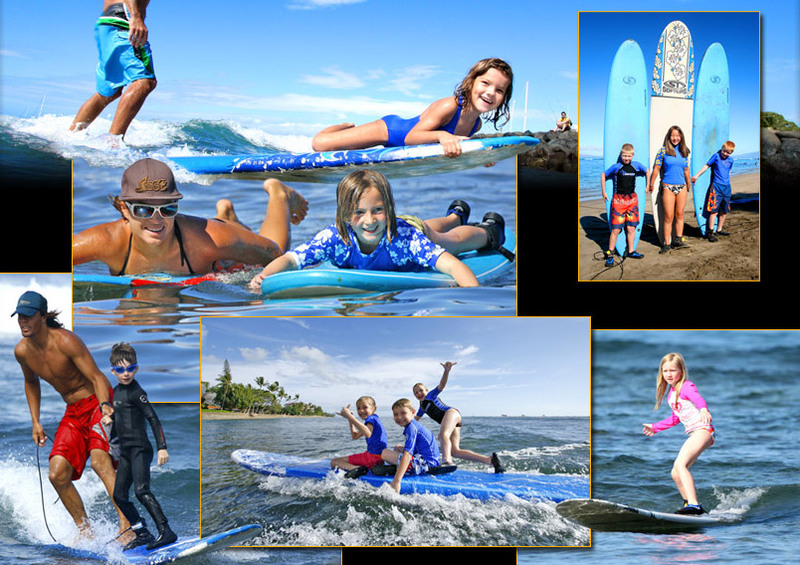 We provide many options for keiki lessons and clinics as well as families that want to surf together. • Staff is experienced with students who have special needs. Please inquire. • Students use safe soft surfboards. Fiberglass boards are available for the experienced surfer. Please advise. • To ensure safety all students must know how to float and be comfortable in the water. • Guides to top surf spots available to experienced surfers only. • Customized programs are available for parties, small groups, VIPs and conventions. • Lessons run all year round. Reservations are required and space is limited so please book in advance. All Surf Instructors are CPR, First Aid and Ocean Lifeguard certified. Our crew members each have over 20 consecutive years surf experience and CORAL Card certified (Ocean awareness certification course) and are committed to continual education and excellence in the field of ocean safety.